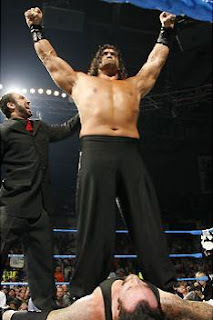 Finally, after searching for weeks Khali figured out what competition was. Upon his discovery he decided to take three key factors that stood in his way for true competition. He finally understands what it means to have a title around your waist is that you get a reaction from the crowd. Beside discussion Khali great discovery we talk about the fallout from backlash and Miss Jackie loses something very important at the Impact tapings, and much much more.